This is a simple, real food recipe which I absolutely love!! I have used the basic banana pancake recipe but used a blender to really whip the ingredients until ultra smooth to make these crepes. 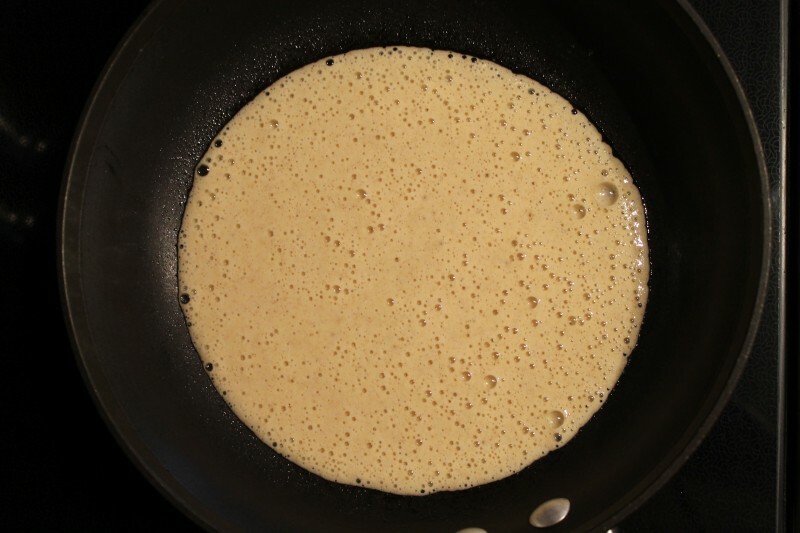 The batter is simply poured onto a hot, greased pan. 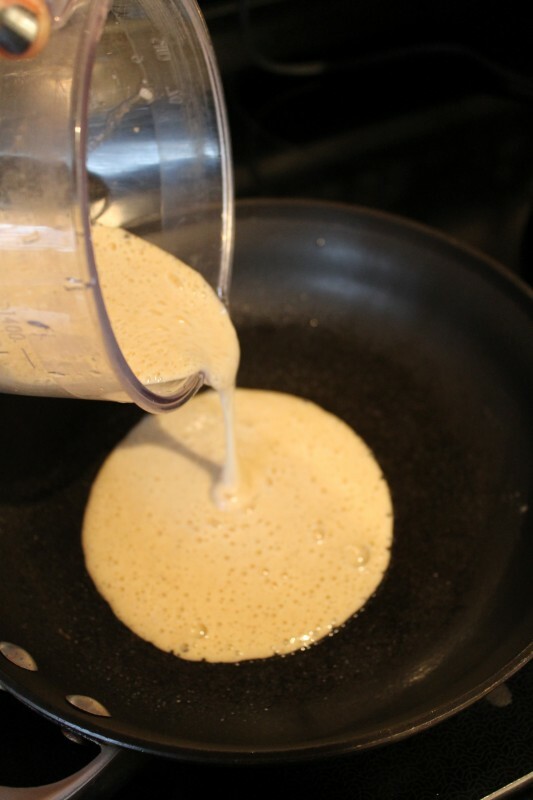 Just like traditional pancakes wait until the bubbles on top pop to flip the crepes. 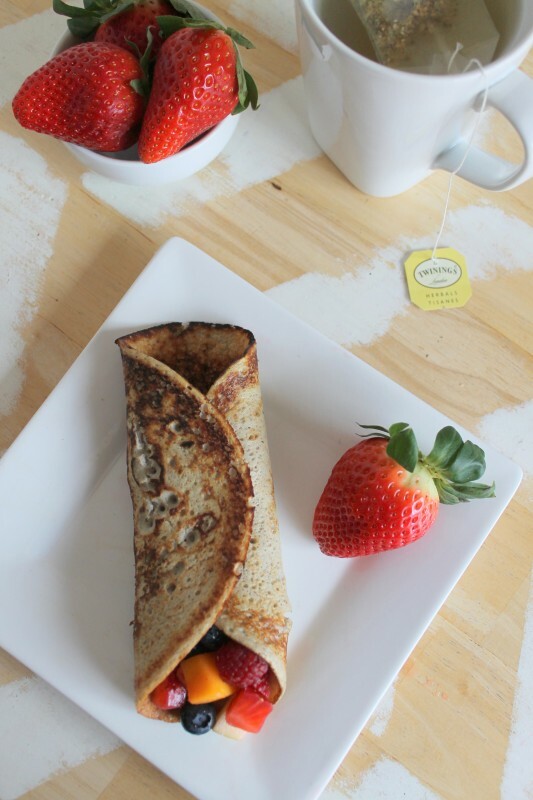 This recipe makes two delicious, golden crepes. Place the ingredients into a blender. Pour half the batter onto a hot, greased pan. 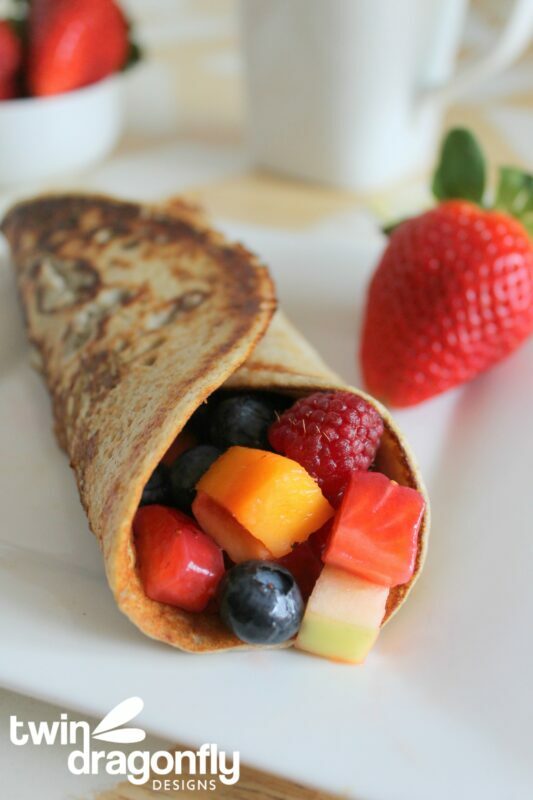 Serve with fresh fruit salsa. 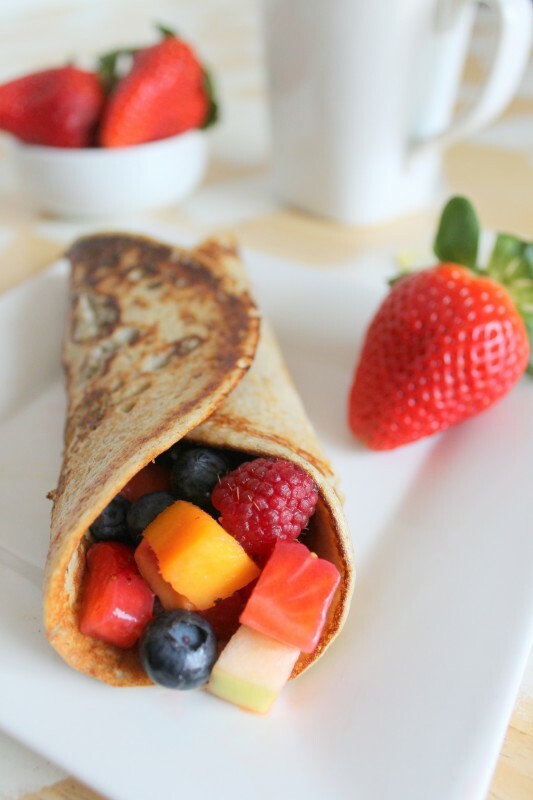 Serve with this fresh fruit salsa, honey, pure maple syrup or whipping cream. I was super excited about this recipe. But was sorely disappointed. I could not get them to work as thin crepes at all…fell apart. So I thought, I’d make them as small pancakes. First two worked ok, but now they are all falling apart when flipped. And I have leave leave them so long before flipping that they appear burned. I don’t know what I’m doing wrong. Sorry they’re not working for you! Not sure what’s going on..